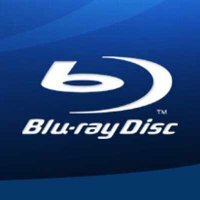 Looks like Sony’s love affair with the standard DVD format is finally over, as the Japanese electronics giant has decided to eschew this format in favor of the Blu-ray disc for all upcoming models in the Land of the Rising Sun. This is perceived as an effort on Sony’s part to push its very own Blu-ray format to consumers across all levels. Guess any new digital video recorder in the future from Sony will now come with the more expensive blue laser technology used to read and write Blu-ray media, and to prove it’s intent, Sony announced a quartet of new Blu-ray disc video recorders that boast support for dual-layer discs – a feature which was sorely missing from previously announced models last year. Here’s some trivia – a 50GB Blu-ray disc is capable of holding slightly more than 4 hours of HDTV whenever one records over-the-air MPEG2 stream, but transcoding this stream to MPEG4 AVC makes it possible to cram in up to 16 hours of HDTV onto the same disc. Rest assured, these four models will be able to store many hours of HD video without any problem. The four models of digital video recorders are the BDZ-X90, the BDZ-L70. the BDZ-T50, and the BDZ-T70. First and foremost, the BDZ-X90 targets home cinema buffs, featuring 1080p video output and “Deep Color” output that claims to bring more vibrant colors when used with a TV that supports the HDMI 1.3 signal. It is equipped with a 500GB hard drive. As for the BDZ-L70, it targets owners of high definition camcorders, featuring one-touch transfer capability that makes it a cinch to transfer video from virtually any compatible Sony Handycam camcorder. The storage capacity is half that of the BDZ-X90 at 250GB. Those looking for a more entry-level machine will be able to settle for the BDZ-T50 and BDZ-T70, boasting the ability to record digital TV without any additional bells and whistles. Both of them come with 320GB and 250GB hard drives respectively. Share functions among all four include 4x Blu-ray disc recording, lossless HDMI audio output, support for AVCHD format, and Sony’s Bravia Link and Bravia Premium Photo technologies.